Are wedding bells ringing in your future? If so, let me first congratulate you and your soon-to-be-spouse on the engagement. Marriage is a symbolism of unconditional love, as well as the merging of two families. Let’s have a think about your perfect beach wedding at the Boathouse Palm Beach. After getting engaged, you should take those first few steps towards planning your wedding, including choosing the right venue and entertainment. According to TheKnot, it’s best to give yourself at least 12 months. Regardless of when you begin planning, though, one of the first things you should do is choose a venue. 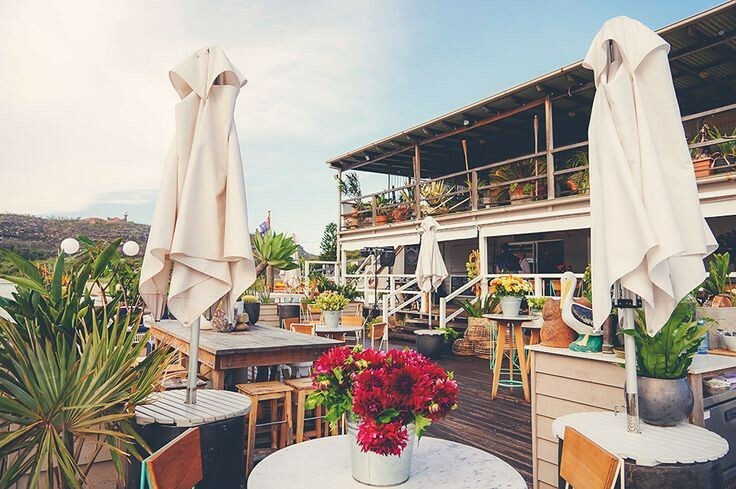 Located on the Pittwater Peninsula at Barrenjoey Boathouse, Governor Phillip Park, Palm Beach, NSW, 2108, the Boathouse is one Sydney’s hottest wedding venues. It offers breathtaking scenery with the ocean as a backdrop, allowing for truly memorable wedding photos. Whether you prefer a day, evening or nighttime wedding, you can’t go wrong with the Boathouse Palm Beach. It’s also worth mentioning that the Boathouse Palm Beach features its own private jetty and surrounding property, which you and your guests can access when planning your wedding here. The Boathouse Palm Beach is synonymous with fine dining. On the review website TripAdvisor, it’s currently ranked as Palm Beach’s #1 restaurant. TripAdvisor has also given the Boathouse its Certificate of Excellence, indicating “consistently great reviews from travelers.” With its superior quality food, beverages, and service, you can rest assured knowing that guests will leave your wedding satisfied. Of course, pairing your Boathouse wedding with the right entertainment is essential when planning your big day. Don’t make the mistake of trying to “wing” your wedding entertainment with a DIY setup like an iPod and speaker system. From faulty equipment to poor sound quality, there are simply too many things that can go wrong. To complete your picture-perfect wedding, consider hiring Australia’s leading wedding band, Lily Road. With regular performances throughout Sydney, Melbourne and all of Australia, Lily Road knows a thing or two about wedding entertainment. They’ve even performed with some of the music industry’s most iconic singers, including John Legend, Maroon 5, Jimmy Barnes, Billy Joel and Aerosmith. Lily Road also knows which wedding songs to play and when to play them — something that’s often overlooked by inexperienced bands. For the bride-father dance, for instance, they’ll play a softer and slower melody. But when it’s time to get the dance floor moving, Lily Road’s professional wedding singers will opt for a faster, more uptempo song. • Create a checklist of “things to do,” marking them off as you complete them. • Rather than hiring a third-party bakery to create your cake, consider ordering a custom cake from the Boathouse. They offer single and double-tiered cakes, with flavors including banana with passionfruit icing, flourless chocolate cake, carrot with walnut cake and mango and cream cheese, and more. • Choose locally sourced, in-season flowers to save money on your floral arrangements. • The Boathouse Palm Beach canapé event can hold up to 150 guests, so keep your guest list under this number. • When hiring wedding entertainment, let the band know beforehand which songs you would like performed. • Most importantly, have fun when planning your wedding! Don’t stress about the small stuff. This is YOUR day, so enjoy it! To learn more about planning a wedding at the Boathouse Palm Beach, check out the company’s guide here. Whether you get married at the Boathouse Palm Beach or a different venue, the right entertainment will help turn your vision of a picture-perfect wedding into a reality. Contact us today to learn more about our industry-leading wedding entertainment services.